Cowgirl Twirly Sundress Square Dance Dress Pink Bandana print fabric, Baby, Infant, Toddlers and Girls Sizes. 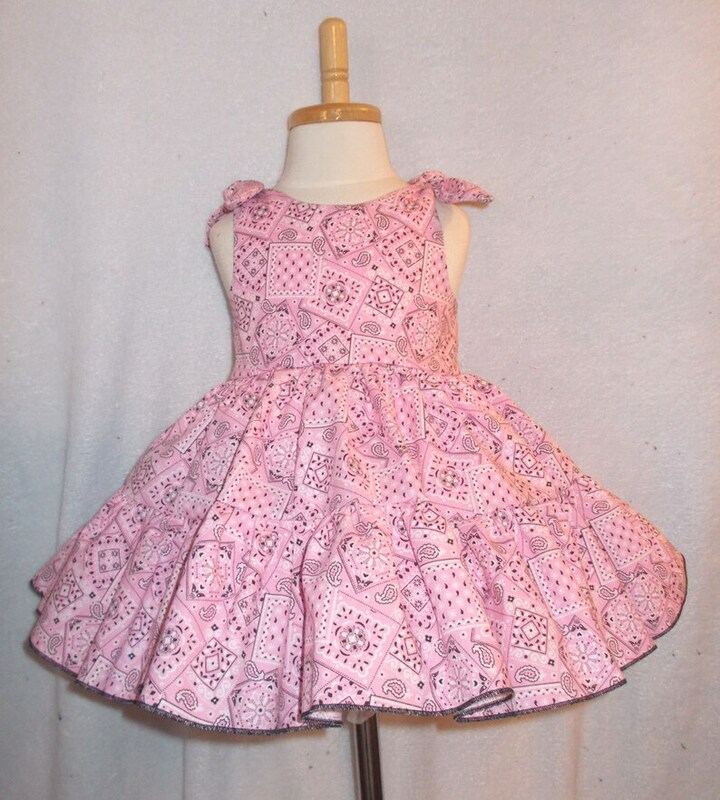 This Sweet little dress has adjustable tie shoulders, and two tiers of pink bandana print twirly ruffles. Light and cool for hot summer days. 100% Cotton and Made in the USA. Also available in other colors: Pink Bandana, Red Bandana, Hot Pink Bandana, Lime Bandana, Turquoise Bandana and Purple Bandana. Cowgirl Twirly Sundress Square Dance Dress Red Bandana print cool cotton fabric, Baby, Infant, Toddlers and Girls Sizes. Cowgirl Twirly Sundress Boutique Dress Hot Pink Bandana print cotton fabric, Baby, Infant, Toddlers and Girls Sizes.